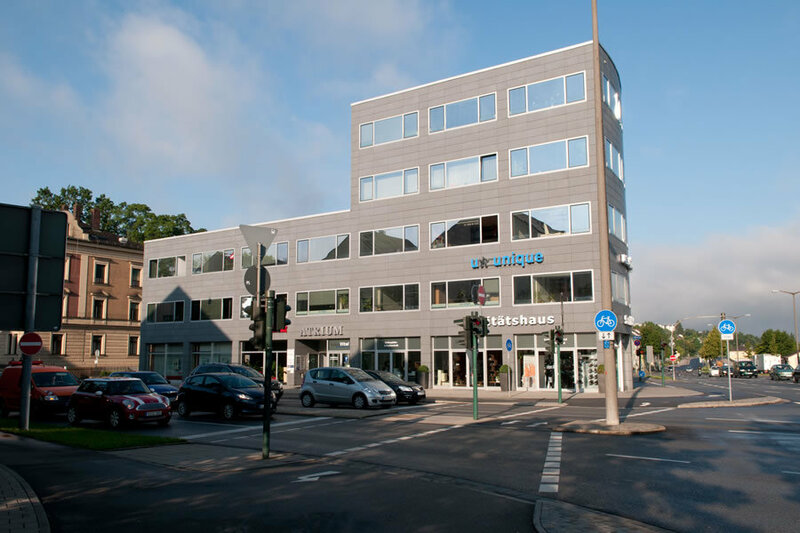 Our practice is centrally located and easy to reach in Kumpfmühler Straße 30 in the Regensburg district of Kumpfmühl. We are located in the Atrium (house number 30) on the 2nd floor. Bus lines 2,16,26,27 (bus stops Theresienkirche + Gutenbergstraße) and 8 (bus stop Gutenbergstraße) stop directly on the opposite side of the street. The practice is wheelchair accessible. You can easily reach us using the lift. Free underground parking spaces and free parking spaces right next to the building (barrier) are at your disposal for the duration of the treatment. Please note: We are not allowed to issue any medical information or consultation, nor any prices on the Internet.